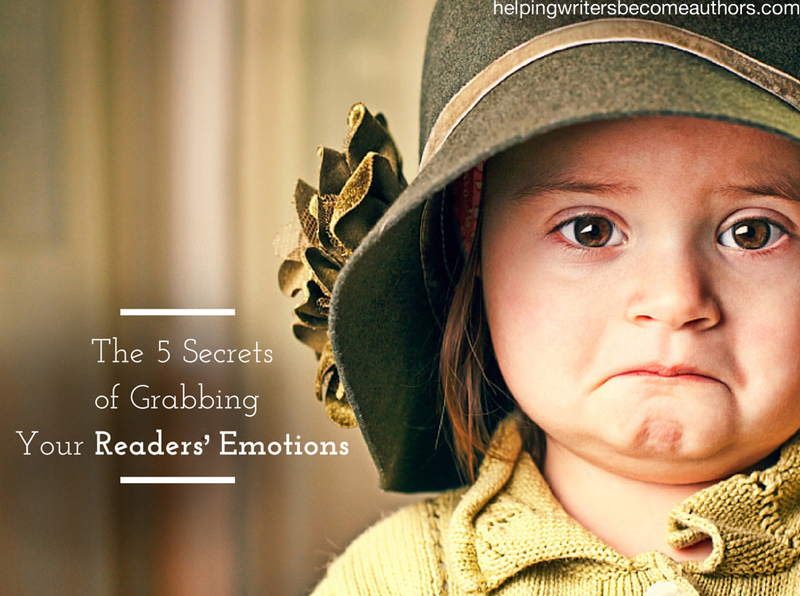 Want to know the secrets of grabbing your readers’ emotions? For starters, let’s pretend I’m your reader–‘cuz I’m a hard sell. I’m not a very emotional person. Even when I feel deeply about something, it takes a lot to move me to tears. I can count on my fingers the stories that have made me cry. Part of this is just my emotional makeup, but part of it is also because I realize the special power tears have. The stories that have pulled me so far out of myself that I’ve closed their covers feeling emotionally scarred—those are the stories that will stay with me for the rest of my life. The comedies and the fluffy chick flicks are quickly forgotten; only the stories that have given me the gift of my own tears, that have connected with me on a primal level–that have made me feel to the utmost the pain and joy and sorrow of our crazy human lives–only these stories can claim a special place as catalysts in my life. A saw in the advertising world proclaims, “If they cry, they buy!” Why is this? Why is it that deep emotion solidifies stories and grants them that brilliant realism? And what’s the secret recipe for grabbing your readers’ emotions in your own stories? Emotional responses, like all of fiction, are subjective. Due to our distinctive psychological makeups and the varied influencing factors of our individual lives, we each react differently to emotional stimuli. We can never expect to tap into the tears of every single person who reads our fiction. But if you can figure out what it is that makes one person—yourself—emotionally responsive, you can likely tap into a universal reaction. 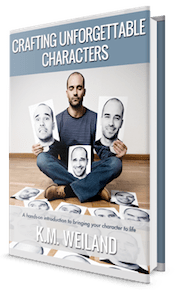 So ask yourself, what characters, actions, and themes affect you most strongly? What are the books and movies that have left the greatest impact on you? What about them did you find particularly moving? 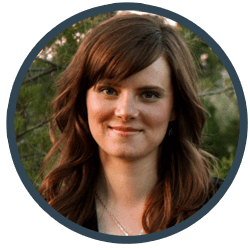 After spending this past week making my own lists in answer to these questions and querying others about their responses, I’ve come to the following revelations about how you can start grabbing your readers’ emotions. One of the biggest issues I deal with from my clients is the “So what?” factor. The idea is good. Check! The form is clever or classic. Check! But so what? What the reader needs is emotional and mental engagement with the work—exactly what writers must conjure up during the writing process. The fictional deaths that have affected me most are those not only of characters I loved myself, but particularly of characters who were loved by other characters. When I asked my critters if they were affected by the death of an important character in my portal fantasy Dreamlander, their almost universal response surprised me. They said they grieved most strongly for the characters who remained alive rather than for the character who died. In expanding upon the previous point, sometimes the most poignant separations, in fiction as in life, are those that are either preceded or caused by misunderstanding. We grieve all the more for a death if the characters cared deeply about each other but were at odds and unable to put the relationship back to rights before it was torn apart forever. Speaking for myself, the single most gut-wrenching thematic element in any story is self-sacrifice. When characters make the “hard right choice,” when they deliberately surrender their own happiness, well-being, or even their very lives for the sake of someone else or a greater cause—nothing moves me more deeply. And judging from the responses I received from others over the course of this week’s research, I’m not the only one who feels this. Making characters suffer is one thing; making them choose to suffer because it’s the right thing to do is another plane altogether. [It] boil[s] down to having the courage to be honest. To dig deep for the emotion, risk being vulnerable: and share it with our readers. As a reader, I’m most impressed with an author who creates flawed, human, heart-on-their-sleeves characters that make me think: “Omigoodness, she’s writing about me!” We all want to feel understood, connected. I think that’s what we must strive for as authors, to offer that blessing as best we can. 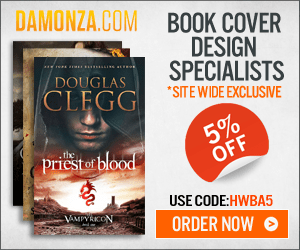 Tell me your opinion: What’s your secret for grabbing your readers’ emotions? I think this is my absolute favorite idea to play with as a writer. Hard choices, sacrifice, and love (not just romantic) are to me the foundation of who we really are as people, thus the most interesting aspects to explore. What motivates us to choose that way? What do we love enough to sacrifice for? How do we know what’s the right decision? How do we make that decision even when we don’t want to? The questions you just asked are *exactly* the questions I like to see asked in stories – and which I’m interested in asking in my own fiction. Hard questions are the birthing ground of good stories. Then you’re the kind of reader authors *really* want to wring tears from! Kate, I know what you mean with the Self-sacrifice, I always get teary over those. Espeically in movies. Kung Fu Panda 2 has one scene that I cry over every time, because of his mom’s sacrifice. Captain America the First Avenger does that to me too. Steve is just so lovable you’ve gotta cry when he does and laugh at his jokes. One of the books I cry over most is Harry Potter and the Deathly Hallows, spicifically the last few chapters, starting with Severus Snape’s two chapters and all through the rest of the battle. Little Women is also one that pulls my heartstrings. Jo is so like me in many ways and so I relate to her sorrows and trials. By the way, thanks for writing all these posts. They are really helpful for me. There you go then! If you know what pulls your heartstrings, you’re more than halfway to pulling your readers. Glad you’re enjoying the posts! It takes work, always. Whether it be in one form (the tangible, such as the hours and hours spent consuming a story’s huge quantity of pages), or another (the mind’s absolute genuine work, creating a work of fiction, long or short), from a person emotion will always come when there’s an “understanding” of work.. If say in November, a film or novel comes out, its release having been planned a year in advance, but then upon the release people barely indulge the product, that’d be sadder for that/those artists in question than those just who’ve had to wait a couple of months. And the same for anything else in life, nevertheless applying to the same formula..
A student, preparing all year for their exam, who then finally fails it; a someone who, despite having passed through so much time (years and years! ), still feels tormented by a same reason of guilt dated from a time predating it all. The arena of life can change, but the formula for eliciting emotion is always the same: a result, informed by some (“understood”) kind of mountain of history. That’s why people have to communicate with one another: if they don’t, they’ll just find it so much harder trying to bear life’s mountains and oceans of time. Connecting with readers’ emotions really is all about empathy. If we can find that common ground, we’ve got ’em. Emotional honesty… Transparency, even… Why doesn’t it happen more often in our writing? Because it’s tough and painful. Because it might reveal too much about us. I continually struggle with this (most recently in my Tracking Jane series), but the alternative, an emotionally detached story, or one that touches on emotion superficially, is the kind of story that tends to sit there, no matter how many things are exploding or who’s chasing who. Absolutely true. We can’t expect to provoke an honest reaction in readers if we’re not willing to first be honest with them ourselves. And, as you say, that’s hard! What I feel is that, bringing people to tears by killing characters is far more easier than making them smile! Oscar Wilde’s ‘The Happy Prince’ remains my all-time favorite. It depends on the story, of course, but I actually find that the sad stories are by far the harder to write. I’m all choked about this post. Thanks. If you cry, then you gotta know readers probably will too! Thanks, K.M. I’m working on a novel in which three characters have experienced grief, but showing how they respond differently. This was helpful to me as I think through the various ways people handle emotions. Also loved the picture for this post! Sounds like a fascinating premise to explore! Awesome post! Definitely self-sacrifice is powerfull! And really Allara was the character I grieved for the most! I loved the article. You are totally right about being honest with your emotions. An author once told me that if you write a scene and it doesn’t do to you what you wish to invoke in the reader, it will never do so in the reader. The only book that has yet to make me cry is The Fault in Our Stars, but it wasn’t when (spoilers) Augustus died, instead it was the scene where he tried to buy some cigarets, but were unable to. I found the scene very sad, because of the cruel irony that despise his wish of leaving an imprint on the world, and die saving someone, he couldn’t even buy a pack of cigarets. And that’s just a really sad, but also very true point in life: we don’t always get what we want. This rang so true for me!!! Just yesterday I finished a fiction on the Titanic. It was from the Dear America series of children’s books. It was very easy reading, and I checked it out from the library on a whim. I’ve always had a fascination with the Titanic, and it had old pictures printed in the back. Long story short, the main character falls in love with this cabin steward named Robert. She escapes on the lifeboats, but Robert drowns along with all of the other people at the end of the story. The main character’s grief for him made me so sad- I still feel so sorry for her. And it was a book for nine year olds!!! Seriously!! If I read my own work and it chokes me up, is that good or bad? Just kidding. I’m finishing reading a novel that I refuse to let go of. I almost don’t want to read the last fifty pages because it’s so beautifully written. When I open the pages I fall into it and just soak in the prose. I know tears are coming at the end. Try this one: All The Light We Can Not See. It’s a mater’s work. Hopefully I’ll climb a few rungs of this ladder.